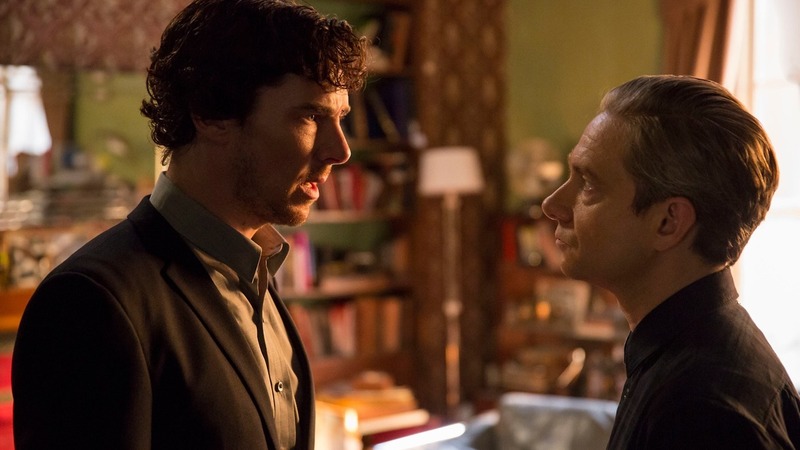 Sherlock: The Lying Detective – What Did You Think? Series Four’s second episode has now landed and, well, it was a big one. ‘The Lying Detective’ brought with it lots of emotion, drama and shocks… but we won’t got into specifics for fear of spoilers. But in the comments below, you lot have free reign to be as spoilery as you want. This is a page for anyone who has seen the episode to comment their two-cents on the episode and for people who haven’t seen it to stay the hell away from until they have. • The incorporation of Mary’s presence was touching, funny, and moving. • We got to see a new side to Mrs. Hudson and it was incredible, and hilarious. • Smith was satisfyingly revolting. • John’s confession and subsequent grief was so tender and moving – and Sherlock’s response sent me and my sister into a whirling tornado of OH MY GOODNESSes. • Sherlock most definitely has some sort of feelings for Irene Adler and she still texts him! WHAT. Honestly cannot wait for The Final Problem. This was definitely my favorite episode to date and I laughed, cried (ish – I’m not an easy crier), gasped, and shouted. It was AMAZING and so worth the wait. Despite my disappointment at the first episode, this was was absolutely brilliant. I loved evry minute of it. The performance of all the characters was out of this world, the story line kept you in suspense from beginning to end. And what an end twist! Brilliant! Roller coaster ride from start to the very end. Mrs. Hudson rocks. Benedict’s performance deserves many awards. The entire cast was great. I can’t wait for next week’s finale but then I’m very very sad and upset that they are saying this is the last episode. I will keep watching the DVD’s over and over but I want new Sherlock. So long to wait for this one and it’s over already.